Developed with ArcObjects, easiTool automates the workflow of watershed erosion modeling. 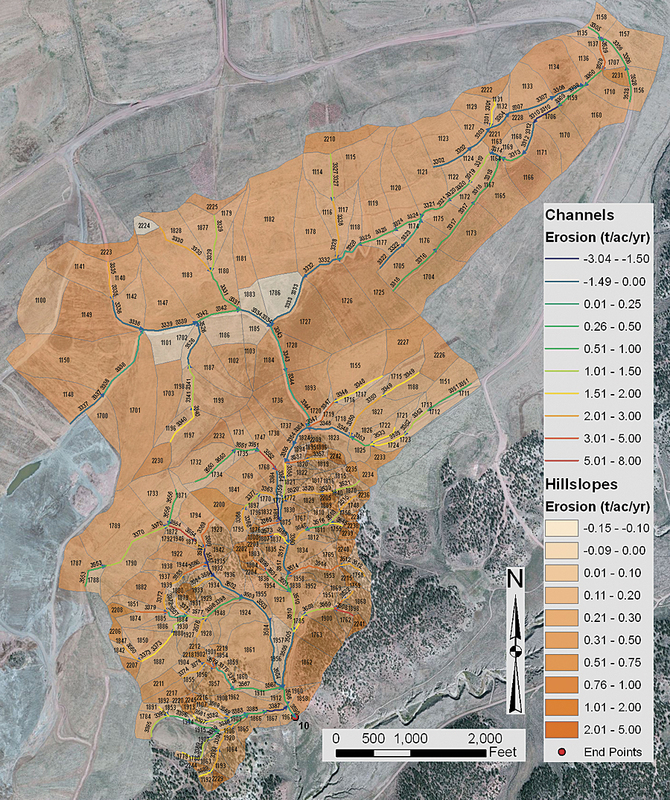 ArcGIS streamlines creation of sound erosion models for 2,800 acres of reclaimed mined land. The easiTool interface performs data processing based on two geodatabases. Erosion and deposition pattern for an example watershed. Peabody Energy, headquartered in St. Louis, Missouri, is the world's largest private-sector coal company, with more than 100 years of history. The company's coal products fuel 10 percent of all US electricity and 2 percent of worldwide electricity. 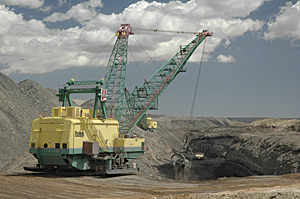 Peabody Western Coal Company (PWCC), a subsidiary of Peabody Energy, operates the Kayenta Mine in northeastern Arizona. A significant portion of the company's coal derives from surface mining, which involves disturbing overlying rock layers to expose and extract coal reserves. 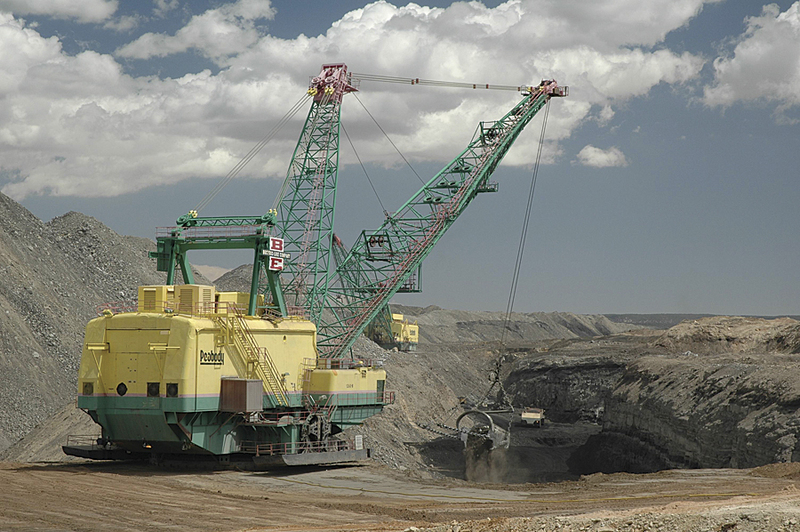 The Surface Mining Control and Reclamation Act of 1977 demands that surface coal mine operators reclaim mined lands to meet a number of requirements, including achieving a postmining topography that approximates the premining topography. 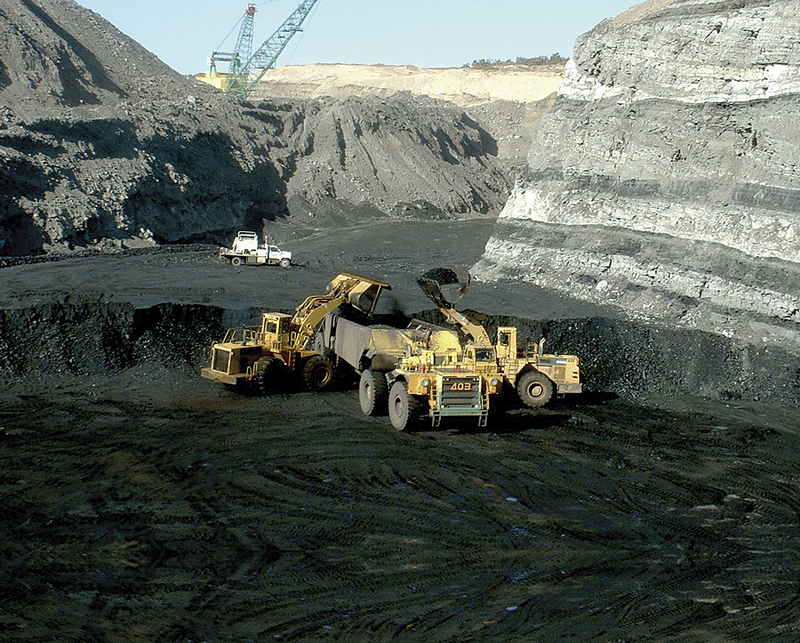 After reclamation activities have been completed at surface coal mines and vegetation has been established for a minimum of 10 years, surface coal mine operators are required to demonstrate that the reclaimed lands are stable with respect to erosion before the lands can be returned to prior owners. Ayres Associates of Eau Claire, Wisconsin, has been performing watershed erosion modeling for PWCC's Kayenta Mine since the late 1980s, using the industry-standard erosion and sedimentation impacts (EASI) watershed erosion model to predict annual average runoff and sediment yield from natural and reclaimed watersheds. However, the traditional way to build a watershed erosion model was time-consuming and labor-intensive due to manual inputs of geometric characteristics, lengthy analysis of modeling results in a spreadsheet, and no direct visualization of modeling results in topographic maps. Exposing and extracting coal reserves. To better assist PWCC in surface coal mine reclamation, Ayres Associates began developing a user interface for watershed erosion modeling in 2008 using GIS technology. ArcGIS and the geodatabase were chosen because they had been extensively used by Ayres Associates to organize, analyze, and display geospatial data, and ArcObjects provided a large and powerful family of components for the third-party development. In addition, PWCC had been using the ArcGIS set of tools for more than a decade to store and process various reclamation-related geospatial data and support internal reclamation planning, mining permit revisions and renewals, and annual compliance reporting to various agencies. The user interface is called easiTool and was developed with ArcObjects to automate the workflow of watershed erosion modeling. By calling libraries from ArcObjects, easiTool populates geometric characteristics like length and area, calculates attributes like channel gradient, and determines spatial relations between watershed units through spatial queries. The tool performs data processing based on two geodatabases, which were designed to store geometric information and attributes about watershed functional units, model parameters, interface settings, and the EASI model results. A coal pit before reclamation. The recent tasks of watershed erosion modeling for PWCC were completed efficiently due to the use of easiTool. The comparison tables for runoff and sediment yield were generated automatically, and watershed units with excessive erosion or deposition were easily identified. Coupling the EASI model with the ArcGIS platform allowed rapid creation of sound erosion models for more than 2,800 acres of reclaimed mined land. These models were included in a phase II bond release application submitted to the Office of Surface Mining Reclamation and Enforcement in September 2010, as they demonstrate that postmining sediment yields are less than premining sediment yields and the reclaimed lands are relatively stable with respect to erosion. Shawn Huang is water resources engineer/GIS application developer, Anthony Alvarado is project manager of geomatics engineering, and Lyle Zevenbergen is manager of river engineering for Ayres Associates. John Cochran is manager of environmental hydrology for Peabody Energy. For more information, contact Lyle Zevenbergen (e-mail: lylez@ayresassociates.com) or John Cochran (e-mail: jcochran@peabodyenergy.com). See also "Surface Coal Mining and Reclamation."